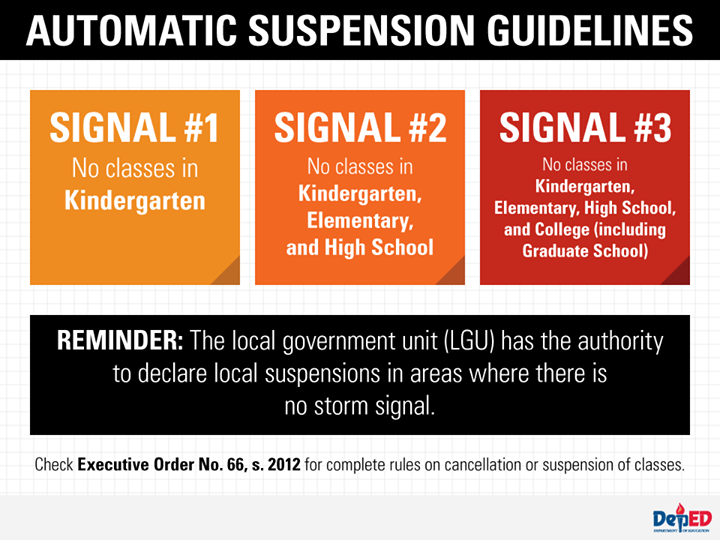 MANILA, Philippines - Some local government units (LGUs) and schools in the Visayas region, Mindanao and Southern Luzon announced class suspensions for tomorrow, December 5, 2014 (Friday) as Typhoon Ruby (international name: Hagupit) has entered the Philippine Area of Responsibility (PAR). 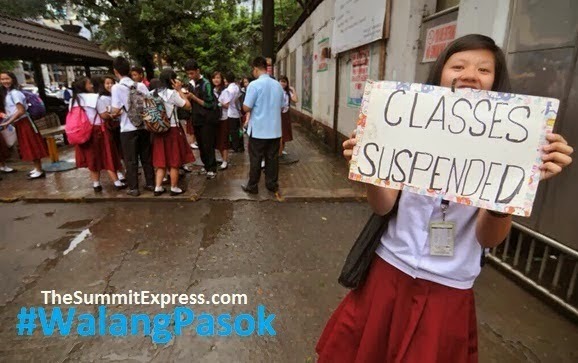 The advisories with some include suspension of work in government offices were released through social media on Thursday. At 4:00 pm today, the eye of typhoon “RUBY” was located based on all available data at 720 km east of Surigao city (10.6˚N, 132.0˚E), with maximum sustained winds of 205 kph near the center and gustiness of up to 240 kph. It is forecast to move west northwest at 15 kph. Northeast monsoon affecting northern Luzon.